This is super easy to make and makes our house smell fresh and amazing! 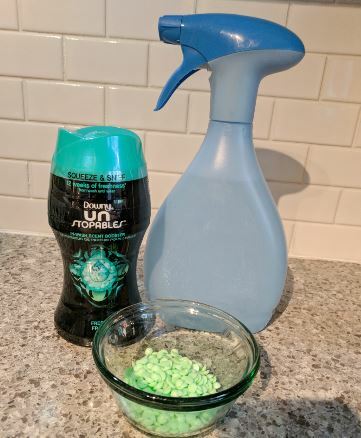 You will need some Gain Scent Boosters, Downy Unstoppables or some sort of bead laundry booster. An empty spray bottle is also needed. 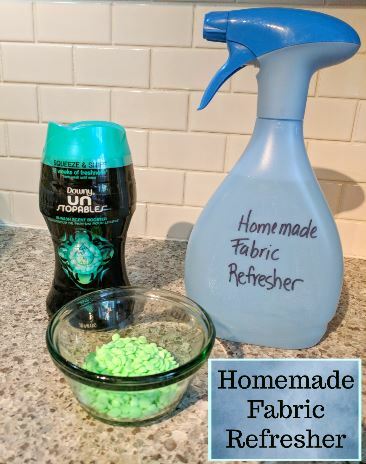 Instead of buying a new one I just used an old fabric refresher bottle and cleaned it out! 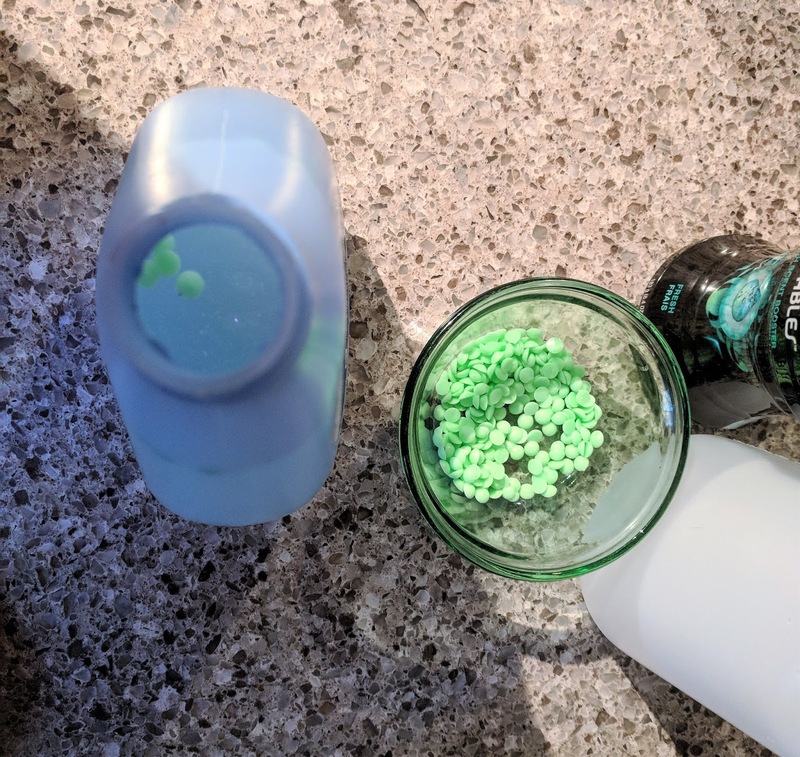 Pour some of the laundry booster beads in the cap of the container. Add the beads to the empty spray bottle. Fill the bottle with warm tap water and shake the bottle until the beads are dissolved. It is that simple. Making your own fabric refresher is super easy and can save you a ton! I love not having to add Febreze on my shopping list anymore!